The RC series of 1 watt DC/DC power converters are specially designed to provide high levels of isolation in a 22-PIN SMT package. 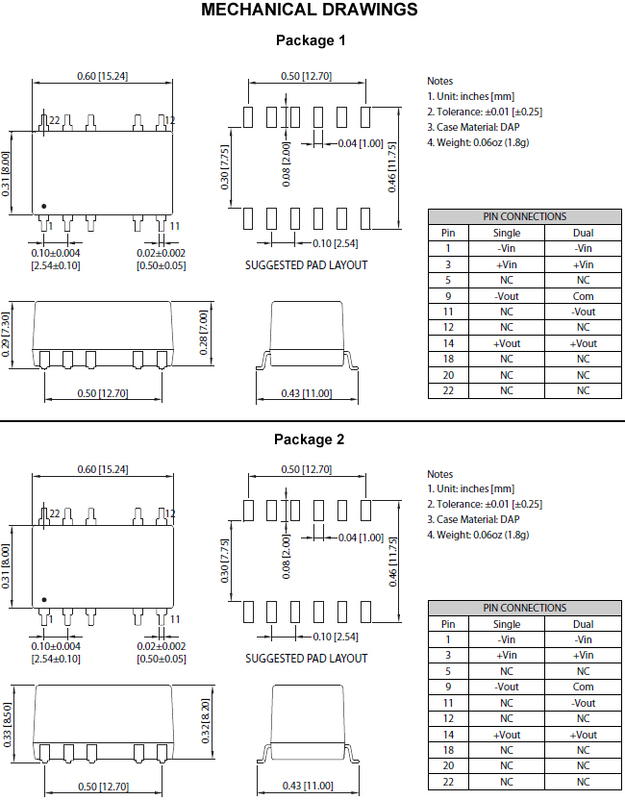 This series consists of 50 models with nominal input voltages of 3.3V, 5V, 9V, 12V, and 15V and standard unregulated output voltages of 3.3V, 5V, 9V, 12V, and 15V in both single and dual output configurations. The RC series is highly suitable for high speed SMT pick-and-place machine operation. 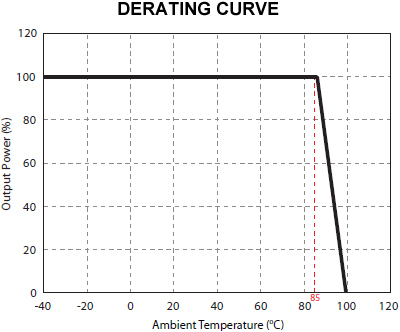 The operating temperature range of -40°C to +85°C is ideal for designers requiring industrial temperature operation. The RC series is RoHS compliant and has UL60950-1 safety approvals. Notes: 1. The RC series requires a ±10% minimum output load to maintain all specified regulations. 2. As the input voltage increases, the efficiency will also increase.